Prom dresses can be expensive. You’ve spent your whole budget on one magnificent perfect dress for your big night. Now, it’s important that it stays flawless looking! There are a few steps you can take to make sure it remains damage-free. That’s on the lead-up to prom night and during prom itself. There’s nothing worse than destroying a part of your dress just as you’re about to make your big entrance. No matter how high-quality your dress is, it can still easily take a hit. Prom dress fabrics are often delicate, such as satin and chiffon. These can wrinkle, tear and form holes if you’re not careful as you wear the dress. To avoid any potential disasters, here are a few expert tips for keeping your dress perfect. That will mean flawless prom photographs and a dress you can wear again too. Prom dresses can be quite versatile and have many uses after the big day. If you’re feeling generous, you can even donate your dress to someone who needs one. There are many amazing charities who accept used dress donations. This can make a girl’s dreams come true. Keeping your dress in good condition is essential for this and many more reasons. Here are a few easy to follow tips to ensure a flawless evening and damage-free gown. Once you take your dress home, you’ll need to find a safe dry area to store it. If it’s an A-line style, it may not hang up well or fit in a wardrobe. One of the best options is to lie your dress flat. This will keep it wrinkle-free and safe. Place it out of reach from pets and make sure the area doesn’t get damp. If your dress is a beaded style or comes with any extra buttons, sequins, etc. Take any spares supplied. Store them safely in case you need them in the future. Even if your dress has been laying flat, it’s possible that a few wrinkles or creases have formed. Check your dress a few days before prom. It may need to be professionally steamed at a dry-cleaner. If you have a hand-held steamer, you can try to lift any creases yourself. Always check the label on the dress, to see what is suitable for the fabric. Prom dresses should never be ironed unless the label allows for it. If your dress is floor-length or has a long train, you might puncture the hem with your heels. This is so common and can completely ruin the end of your dress by the time prom is over. To keep this in check, have a look at the shoes you’re wearing. If they’re very pointy stilettos, it’s a good idea to add a rubber or plastic tip that protects your dress. This can even make your heels easier to walk in. The idea is that it increases the surface area, making it less likely to go straight through the fabric. Block heels or flats are much easier for this and won’t go through your dress. The hem and train are both most likely to get damaged on prom night. Make sure you pick up the end while walking, so it doesn’t drag and catch on anything. This is especially important while outside or getting into a car. Sweep up the end and make sure it’s tucked away before closing the car door. As you enter your prom, carry your dress end up any stairs and over any rough terrain. You don’t want it to get dirty or tear before you even arrive! Another big problem is stains. A stain can ruin your dress in one quick accident. Be careful if you’re eating a prom dinner. Drape a napkin over your lap in case any food falls. If you do get a stain on your dress, head to the nearest restroom. If you have a stain remover pen in your bag, use it on the area. If not, you can always run the stain under some cold water and dry it on the hand-dryer. This isn’t ideal but can lift a small stain out. Heavier stains can be soaked up with salt or sugar. These absorb the liquid, then you can brush or dab the area. 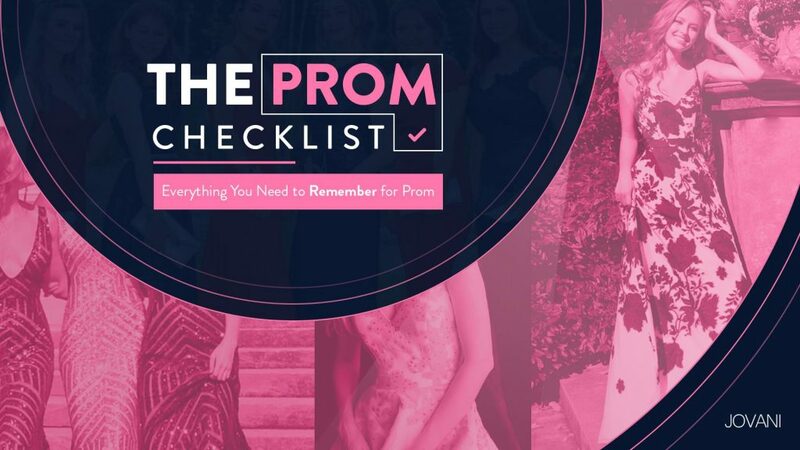 Once prom is over and your dress is back at home, consider if it needs cleaning. It’s a good idea to have it dry-cleaned well before putting it in storage. Once it’s clean and fresh, you can lay it down or hang it back up. Keep it covered and away from strong light. A sun-filled room can cause your dress to fade over time.